Earlier this month, Gucci made the announcement that it was going fur-free from 2018, joining the ranks of other designers who have made the same pledge including Calvin Klein, Ralph Lauren, Tommy Hilfiger and Armani. But does that mean the death of fur on fashion’s runways? The answer is a resounding no. Instead, we are entering a new golden age of fur, just this time it’s fake. 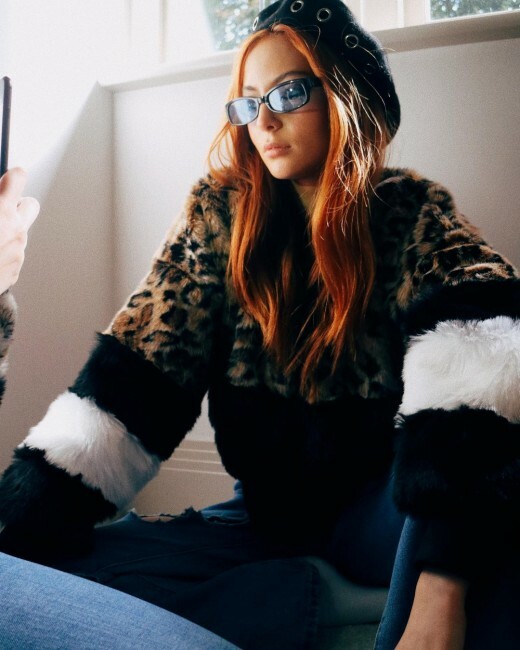 Gucci’s announcement comes on the tail end of years of momentum, where designers have moved away from real fur – with retailers such as Selfridges and most recently Yoox-Net-a-Porter hot on their heels. Driven in part by animal rights activism, the shift to faux fur is also down to leaps in technology which have given designers the ability to manipulate materials without limits. 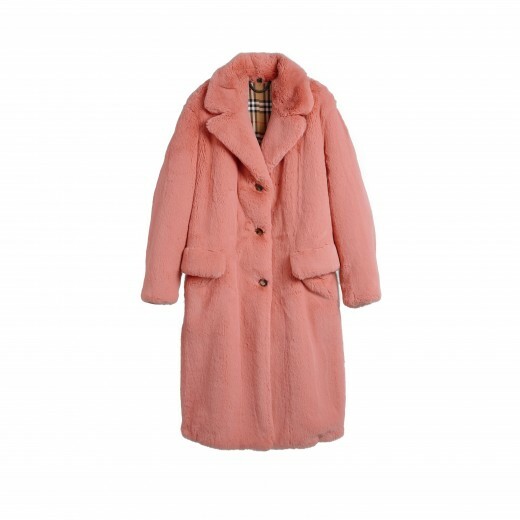 Glamorous and eccentric synthetics – that look and feel like the real thing – feature prominently in the collections of AW17, from Miu Miu’s shaggy lavender jacket (£1,515 on My Theresa) to Burberry’s full-length bubble gum trench (£1,595 on My Theresa) and Diane Von Furstenberg’s slouchy, ultra-soft, blue yeti (£499 on My Theresa). These pop-art pieces take fur’s designs one step further than the genuine article could ever go. And the appeal has not gone unnoticed on the high street, with equally colourful creations leaking into the collections of Topshop, Mango and Urban Outfitters. While early adopters Chanel and Stella McCartney have been using faux fur for years, it is only in the last few seasons that the material has shaken off its label as an alternative to the real thing. Instead, it has emerged as a medium in its own right; one that is playful in its possibilities for eccentricity. The street style orbiting New York fashion week in January was a riot of colour and texture, with bloggers and models turned out in frenzies of kaleidoscopic patterns, explosive silhouettes and unwieldy fabrics. Against this backdrop, real fur jackets seemed drab or – as Gucci’s CEO, Marco Bizzarri, called them – “outdated”. Well-known brands are weaving faux-fur into their collections, some emerging labels are putting it at the centre of their ethos. 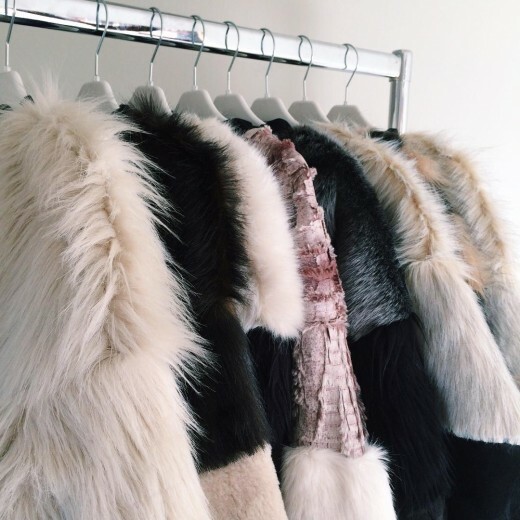 Unreal Fur is a brand that uses only faux fur. Its bestselling ‘Dream Jackets’ (from £230) are sleek and fluid, using long-pile fur to create the illusion of water, rippling with movement. The mother-daughter duo behind The Design Studio also use faux-fur to make their ultra-cool bomber jackets (from £170). The Fabria jacket (£200) makes leopard print and thick pink stripes seem like natural bed fellows and the quieter grey Ayli bomber (£170) merges a feather texture with a more conventional furry one, demonstrating the material’s range of possibilities.